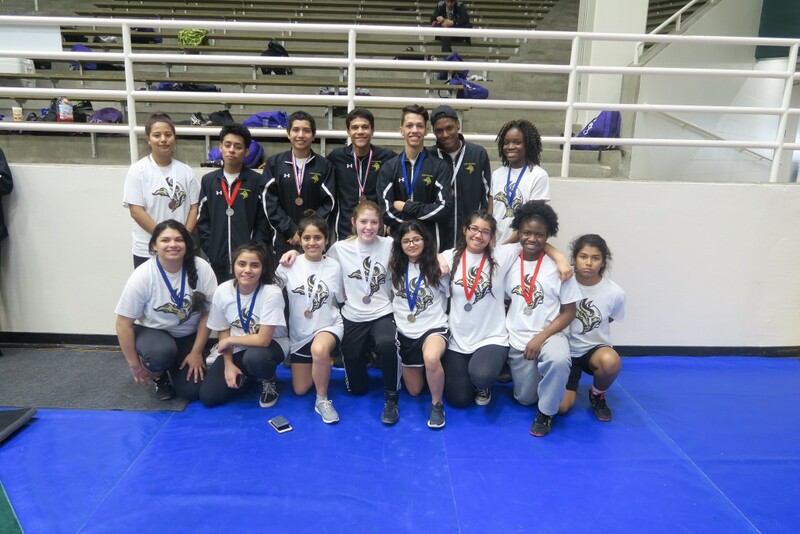 Coed Junior Varsity Wrestling, Coed Varsity Wrestling · Feb 8 AISD District Champions! 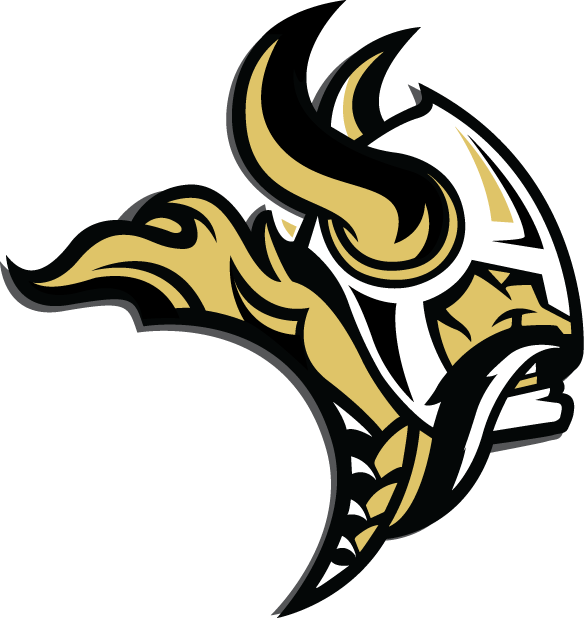 All year the Vikings have been improving and growing as wrestlers. Their goals from Day 1 have been simple; Win a District Championship, qualify 2/3 of the team for regionals, 1/3 of the team for state and place as many wrestlers as possible at state. 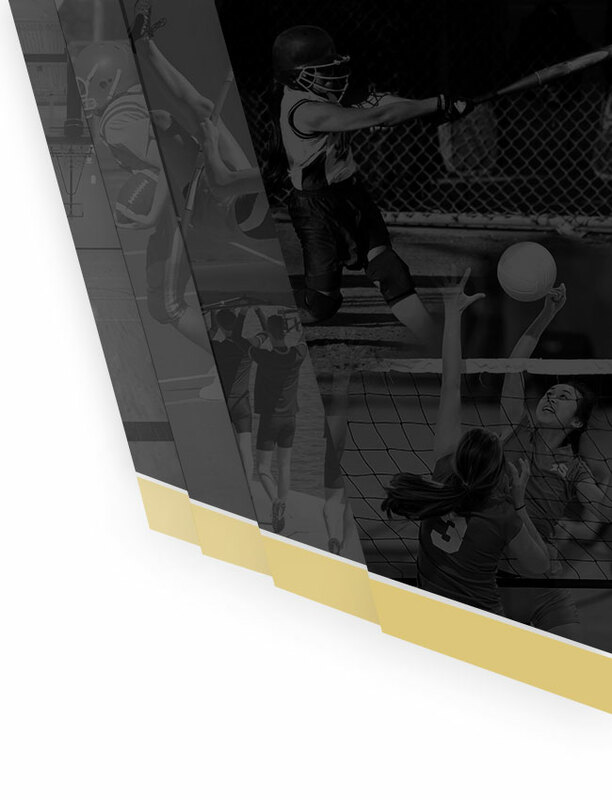 Since August, this team has been working day in and day out to make these goals a reality. Wednesday was step 1, the District Tournament.Your Lanier Vikings went to battle with the rest of AISD at the Burger Center for the 5 A Boys, Girls and JV District Championships! 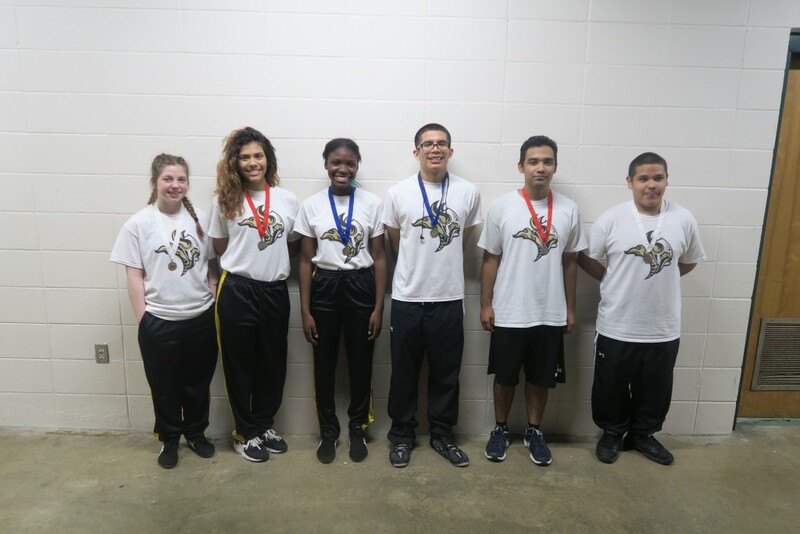 The Vikings entered 6 JV wrestlers into the tournament (3 boys and 3 girls). 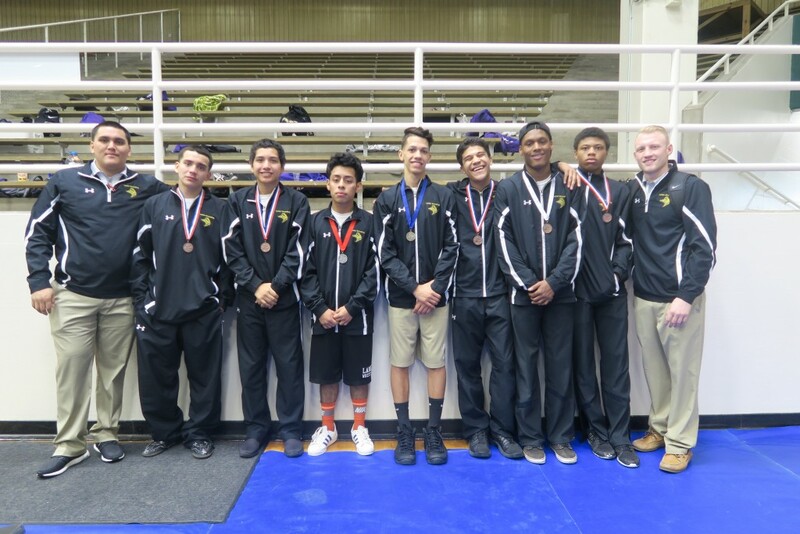 The JV wrestlers finished their day strong as all 6 placed in the top 4! 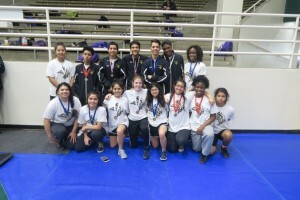 The boys JV finished as follows: Adolfo Soto – District Champion, Jaime Gallarado – Runner-Up, and Jesus Sierra – 3rd Place. The girls JV finished as follows: Eboni Washington – District Champion, Skylah Hughes – 3rd Place, and Maryjane Guerra – Runner-Up. 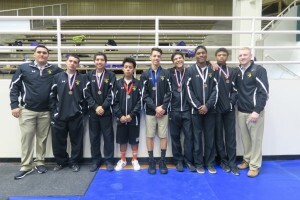 The boys varsity also had a great showing at the AISD District Championships. 7 boys represented the team in the tournament and 5 advanced to the Regional Championships (must place top 4 to advance to regionals). Senior Captain, Maykel Naranjo (120) lead the way for the Vikings boys finishing the day a District Champion! Nixon Ochoa (113) had a surprisingly strong showing finishing 2nd. Elijah Solano (138) and Roderick Ellison (145) both finished 3rd. Sophomore Captain, Samuel Diaz (132) was the last Viking boy to qualify finishing 4th. The boys left it all on the mat today. We are very pleased with their efforts! Even with the low varsity numbers the Viking Boys finished 6th overall in the District. Lastly, we have the Lady Vikings. This years DISTRICT CHAMPIONS! 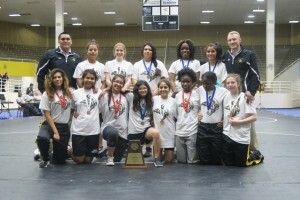 The Lady Vikings had a dominating performance at the District Championships. 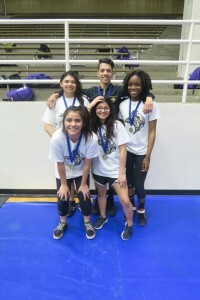 4 Vikings finished the day as individual District Champions (95) Isabella Llamas, (119) Jamaria Washington, (165) Koda Camrena, and (215) Selena Cordell. 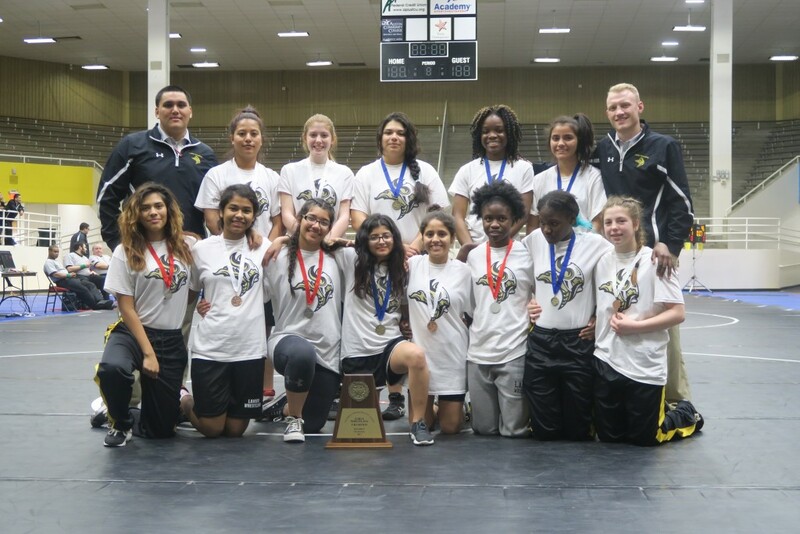 The remaining members of the lady vikings finished as follows: (102) Yulissa Jaimes – 3rd, (110) Leilah Jiminez – 3rd, (128) Jasmine Byson – 2nd, (138) Angie Miranda – 3rd, (148) Kyara Zacarias – 2nd, and (185) Katherine Aguilar – 3rd. ALL lady vikings finished top four and as a result will advance to the Regional Championships! Huge shout out to all the Vikings for their amazing day at Districts. Make sure to congratulate each of them when you see them and wish them luck. 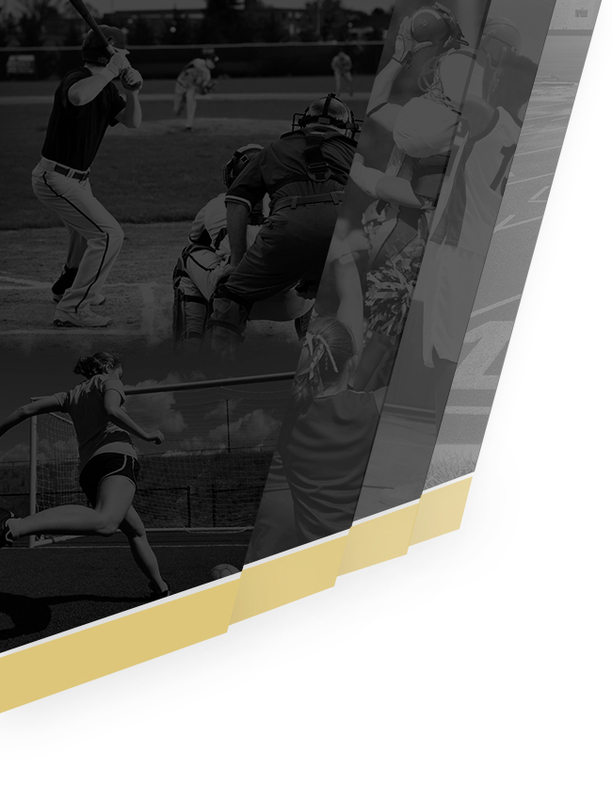 We are Viking Nation and we are Developing Champions Daily!